A well-marked parking lot is an important feature of any property. A well-marked parking lot can attract customers, facilitate traffic flow and increase pedestrian safety. Fogle’s can repaint existing lines, or layout a new lot. 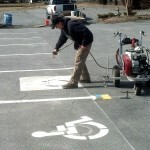 We can provide all types of pavement markings to include Handicap markings, arrows to aide traffic flow, or any custom markings your property requires. 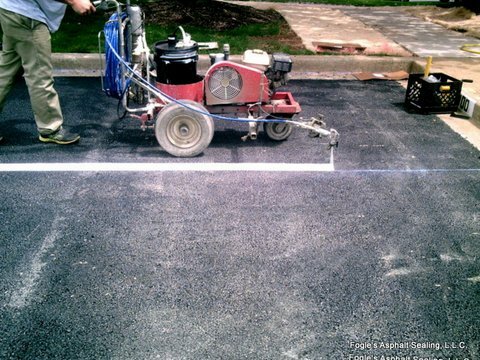 Striping is a great way to keep a parking lot looking new and professional. When properly marked, parking areas can be an attractive part of the facility that is also safe, and most important, usable to the maximum degree. 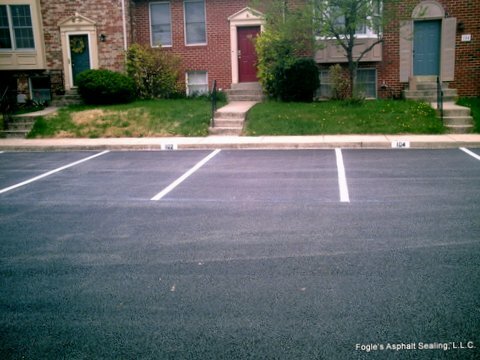 If you need line striping in Frederick, MD for your parking lot, call Fogle’s.